There are many reasons to attract birds to your garden. 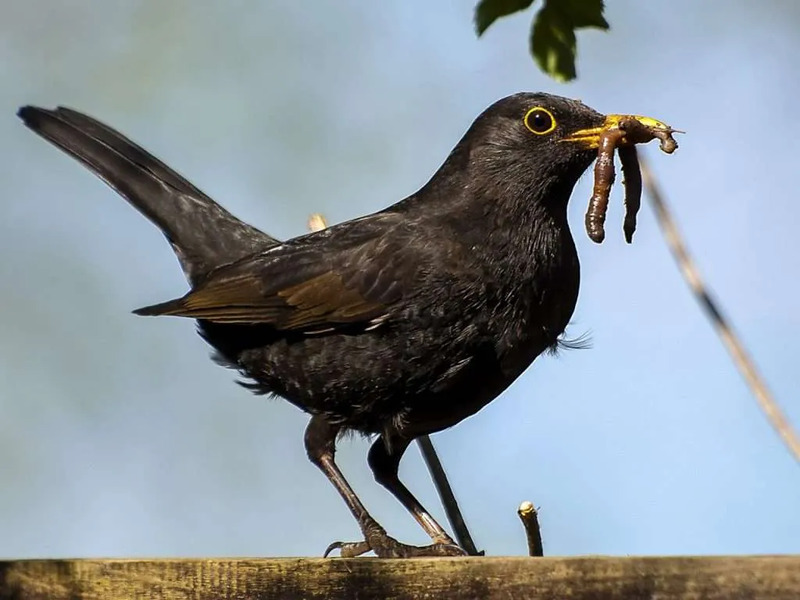 One reason is that apart from hedgehogs, toads, and beetles, birds are perhaps the most industrious slug and snail hunters. 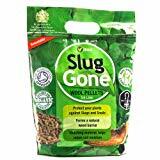 They are an especially valuable help in spring, when young slugs and snails hatch from their eggs and are easy prey. The hungry birds are then very diligent in helping to nip in the bud an emerging slug population boom. So, it is worth your while attracting them into the garden and helping them to settle there. Entice birds into your back yard. 1 Do Birds Eat Slugs? 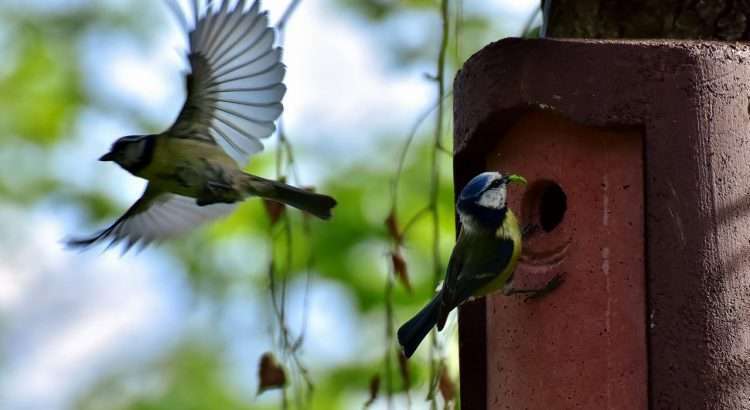 2 When Is the Right Time to Put Up Nesting Boxes? 3 Which Places and Gardens Do Birds Prefer? 4.1 How High and In Which Direction Should Birdhouses Hang? 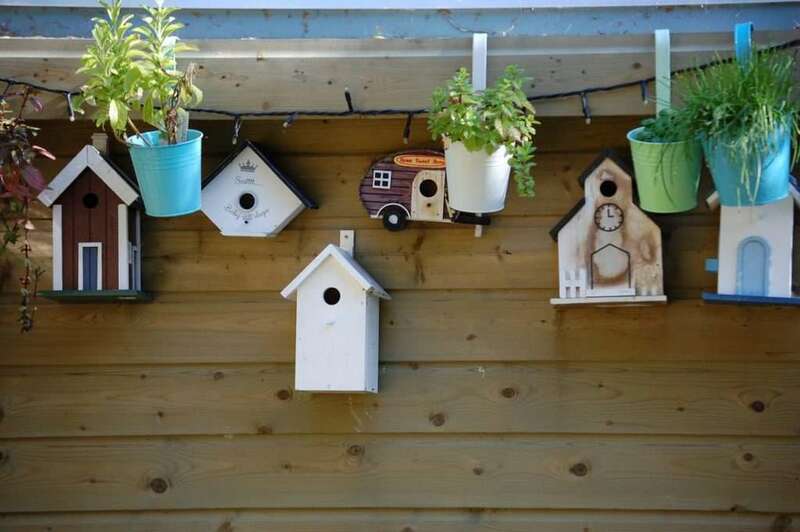 5 How Many Nesting Boxes Can You Hang in the Garden? 6 How Can You Protect a Bird’s Nest Against Predators? Some people say that birds and other predators spurn slugs. But that is not correct, as the video below shows. Smaller, young slugs are a favorite meal for many birds. Like hedgehogs, the blackbird rolls the slug around before eating it. Birds are hungry in spring and are looking for a suitable nesting opportunity. 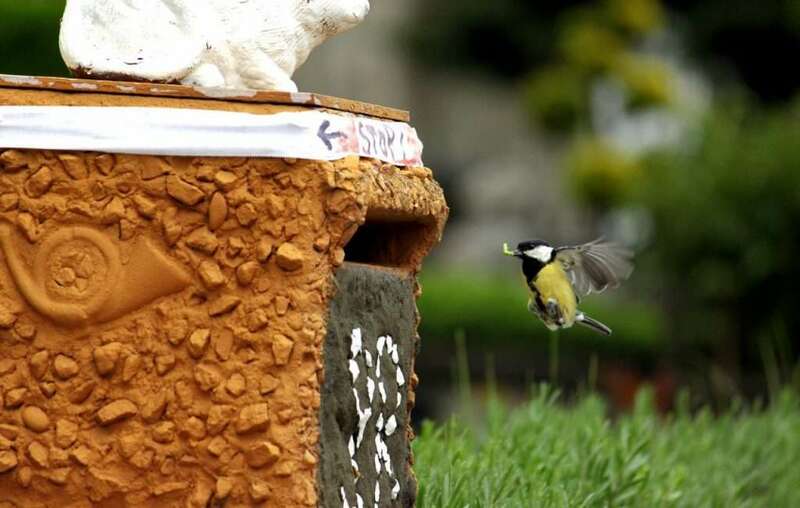 So, why not attract them into your garden with an appropriate supply of food and nesting boxes? 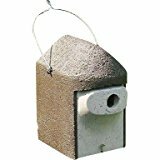 Blackbirds, starlings, titmice, owls and many other garden birds can be attracted in this way and will settle permanently. There are many different types of nesting aids. 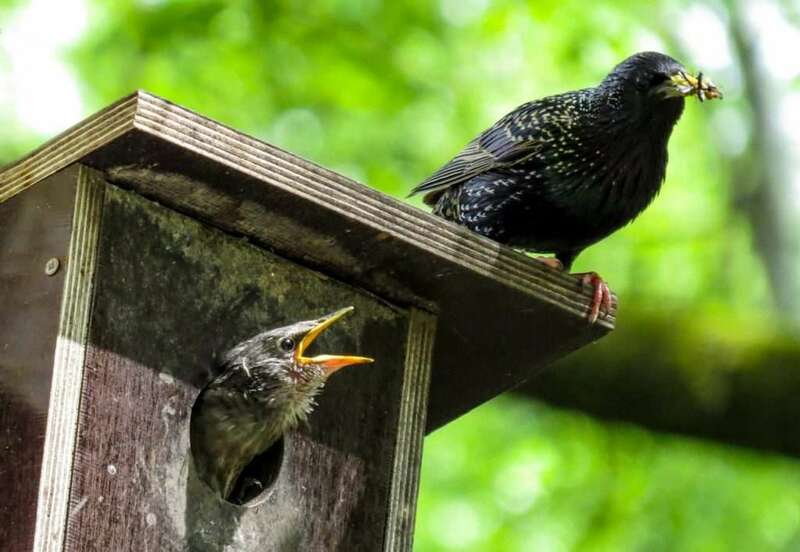 When Is the Right Time to Put Up Nesting Boxes? Most birds start looking for and moving into a nesting place at the end of winter and in early spring. Nesting boxes should be ready at the end of March, but for many species, April is still okay. Some birds, such as the robin and the spotted flycatcher, even wait until May to build their nests. The perfect timing depends on the region; the rule of thumb is the earlier, the better. 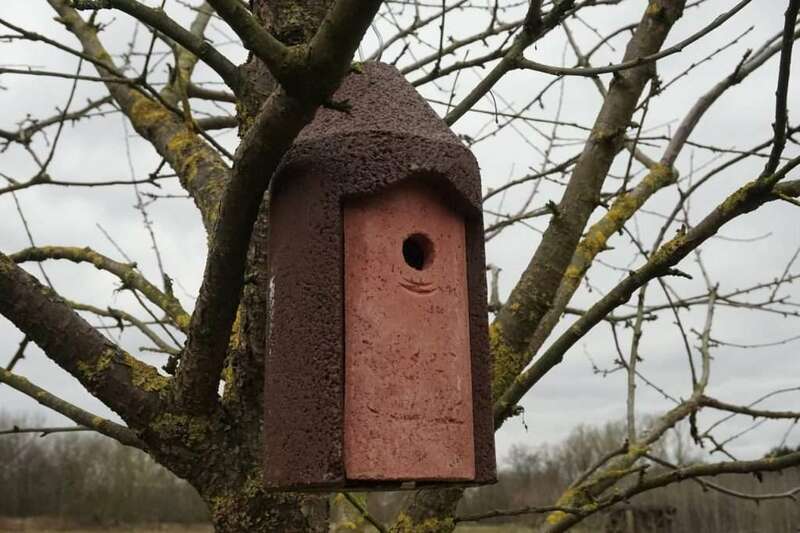 It is a good idea to establish nesting opportunities in autumn; then, the nesting boxes will smell more natural and be better accepted in spring. Also, in wintertime, the boxes can offer valuable protection against snow and cold not only for birds but for many other animals, too. So, you can actually hang and install them all year round. These birdhouses hang too low to be safe. Which Places and Gardens Do Birds Prefer? Each species has its own needs, but a few points apply to most birds. 1. A diverse range of food in the vicinity. 2. A place protected from enemies to raise their young. 3. A watering hole or another watering place nearby. If there is enough food, many birds can settle in your garden. Providing food is the most critical requirement because slugs and snails alone are not enough to feed birds and their young. Most birds need a lot of different prey animals to stay healthy and to raise their young. Above all, they feed on insects, so it is essential to make the garden as insect-friendly as possible. The more insects that live in the garden, the more birds that will be able to settle. Please note: Only a few insects are pests; most help to keep the garden healthy. The more different species that live in an area, the more the ecosystem maintains its natural equilibrium. In addition, many species of insects help to keep the snail population under control (ground beetles, centipedes, fireflies, etc.). In spring and summer, it is not usually necessary to feed the birds; nature should provide them with all they need. 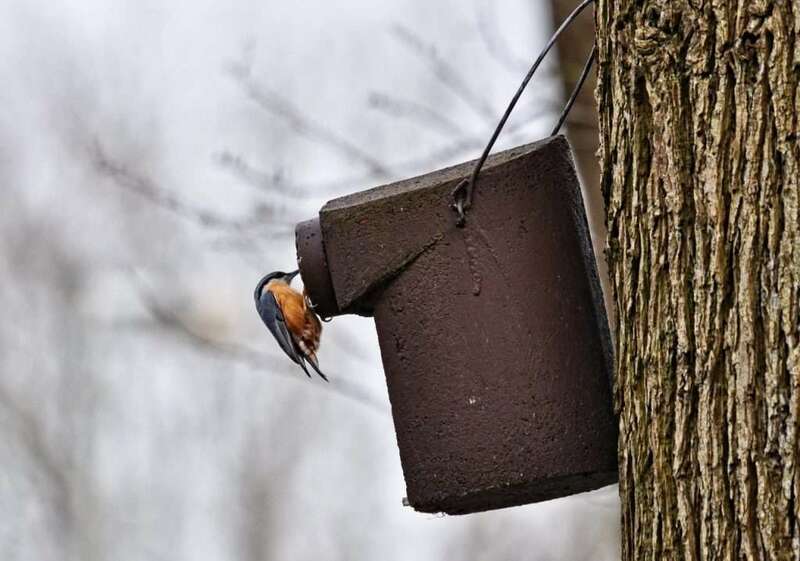 In autumn, winter, and even early spring, however, it is helpful to put out seeds or unsalted peanut butter to help birds through the dark, cold periods. Birds need a protected place. Shrubs, trees, and bushes are natural, quiet nesting sites for birds. So, it is helpful to plant as many of them as possible. This will also promote insect life in the garden. Make sure you plant native, non-invasive species. Most birds that hunt on the ground like medium-high and weather protected places: shrubs next to a wall or wide garden hedges are ideal. Blackbirds, for example, also like to breed in berry bushes. But many birds still look for nesting holes in old trees, which are rare in today’s gardens. So, it is helpful to provide these creatures with finished nesting boxes. You can build these yourself quite easily. 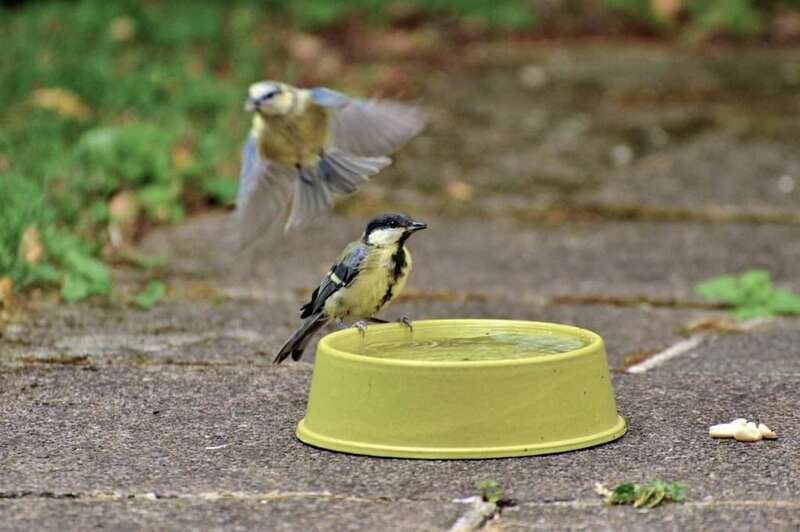 Birds need safe access to water. Like most animals, birds need a water supply close to their nest to be happy. They need it for drinking, bathing and cleaning themselves. Some birds, such as swallows, even need water to build their nests. If there is no water supply nearby, birds are unlikely to settle down. So, it is essential to provide access to fresh water. Ideally, the watering place should be free-standing and not close to areas in which predators (cats, for example) could hide. 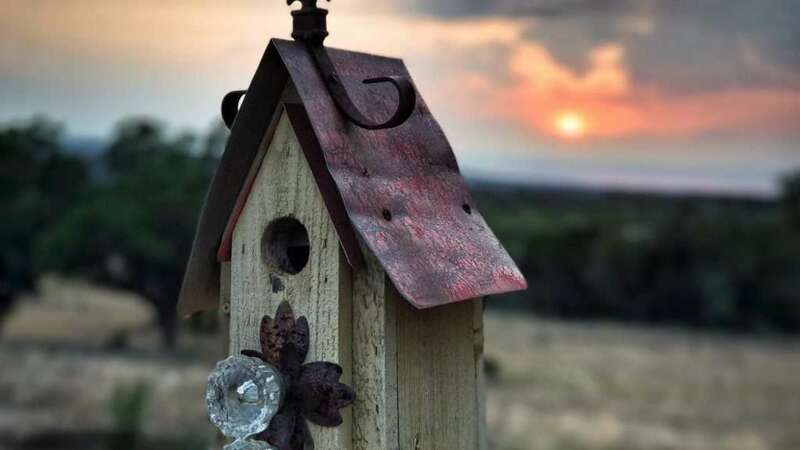 Some creative ideas for birdhouses. Sometimes birds will not accept nesting boxes, so they remain empty. This is a pity. The reasons for this usually relate to incorrect handling and installation. 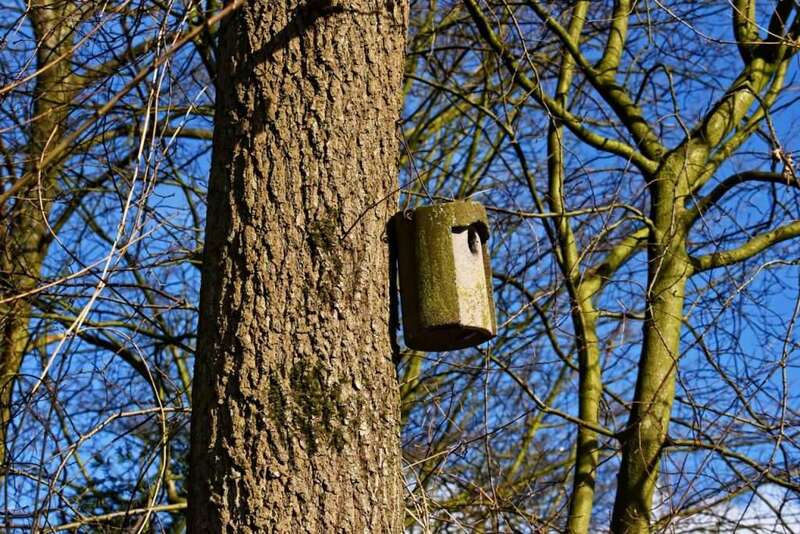 Relevant information on the correct hanging of nesting boxes follows. How High and In Which Direction Should Birdhouses Hang? You can mount most boxes at a height of two to three meters (3.3 yards). In protected areas such as gardens, they can also hang slightly lower. 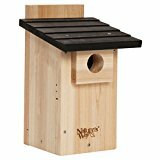 Nesting boxes are easy to install at a height of about one and a half meters (1.6 yards). They are also simple to clean at this height, because you will not have to remove them. The boxes should be hung in spots that are protected from wind and other weather conditions. Local conditions can differ, so be sure to observe the direction from which wind and rain usually come. It might be helpful to ask someone who knows about this. 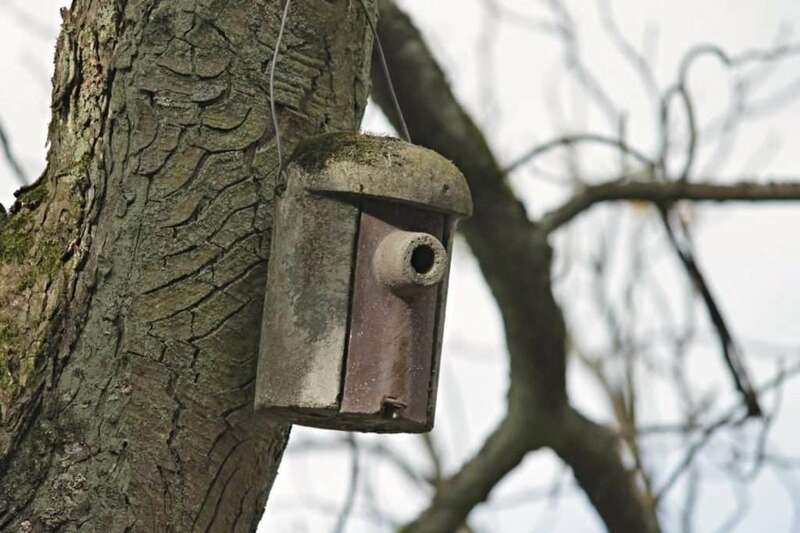 You should avoid hanging the boxes so that they face in these directions, especially in windy areas, otherwise, wind and rain might enter the nests and sensitive young birds would suffer and maybe die. If the boxes are hung in weatherproof locations, however, you do not need to worry about this. Make sure the box is leaning forward and not backward, as in the picture. Nesting boxes should be tilted forward a little and not leaning backward, to prevent rainwater from entering. If this is not possible, you could protect the entrance to the box with a small roof. It is also advantageous when the morning sun shines on the nest so that it quickly heats up after cold nights. In the midday sun, however, shade should fall on the box so that it cannot overheat. If these conditions are met, young birds will have the ideal conditions in which to survive. A near-natural garden can feed many birds. 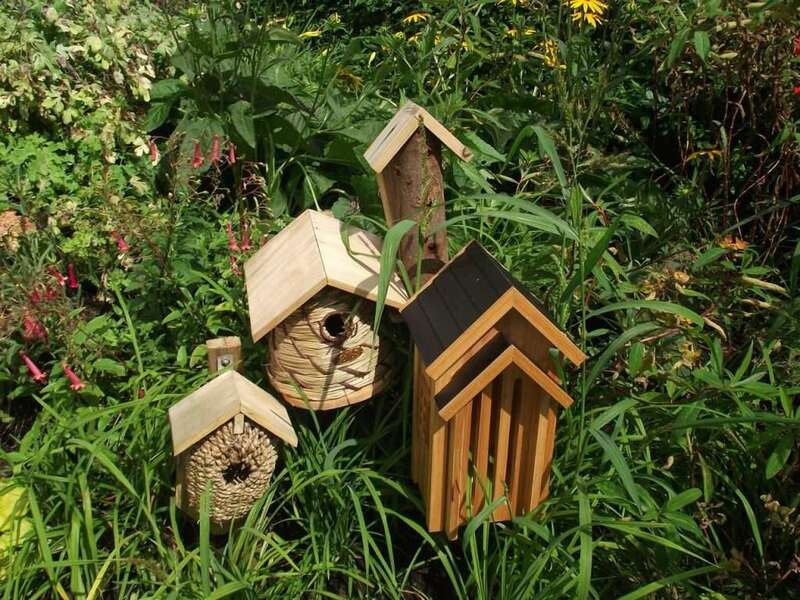 How Many Nesting Boxes Can You Hang in the Garden? There is no upper limit because in a near-natural garden there is more than enough food for the birds. This is why these creatures do not usually disturb or fight each other. Only the top nesting opportunities could cause competition in spring. Once the birds have settled, a peaceful coexistence follows. Even on a single tree, several different pairs of birds can brood next to each other without any problems. On only one hectare (2.5 acres), up to 40 couples can live together comfortably if they have enough to feed their offspring. You do not have to consider placing even a minimum distance between the nests. Try to avoid using steel nails for the installation as they can damage the trees. Instead, you can use special aluminium nails. Or you can try using string or wire to hang the boxes on branches. How Can You Protect a Bird’s Nest Against Predators? To protect birds from predators, a full roof overhang above the entrance hole is recommended. In addition, the distance from the entrance hole to the bottom of the nesting box should be at least 15 to 20 cm (6 to 8 inches). If the distance is less than this, a predator’s paw could reach young birds through the hole. A lot of nesting boxes have a perch on the front, but this is not a good idea as predators might use it to reach into the box. Birds will search for safe places to build their nests. Nesting boxes can be cleaned as soon as the birds have flown. This means that generally in late summer or early autumn, the old nest can be removed. However, it can be left in the box until the end of winter; then it may offer even more creatures a shelter. The entire nest must be removed because birds always build a fresh nest in spring. You should not put any nesting material inside the boxes. But you could help by putting some materials outside within the birds’ reach for them to pick up (for example, lint, animal hair or long, dry grasses). From time to time it can also be useful to rinse boxes out with water. It is best to clean birdhouses at the end of winter. 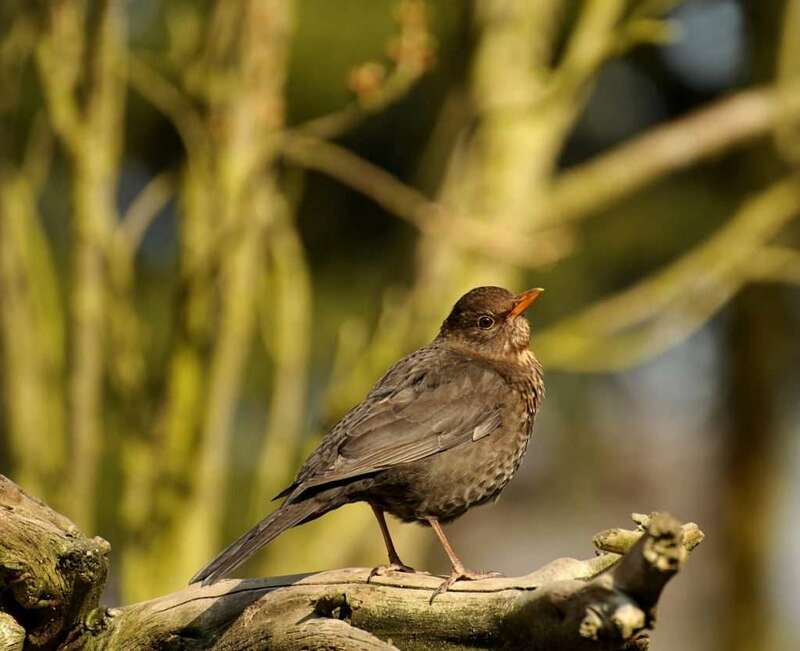 Birds are an essential help in the natural control of slugs and other pests in the garden. So, it is worth your while to offer a wide range of nesting possibilities and to attract as many birds as possible. 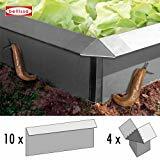 They not only help to fight slugs. Their feces fertilize the soil, and their singing delights all garden lovers. The installation of boxes is simple and not hard work. It can also be fun for children to build nesting boxes; this is a lovely way for them to learn to protect Mother Nature and her creatures. You can be creative when building aviaries. Based on my own experience, I recommend the nesting boxes made by Schwegler. Birds like them a lot. 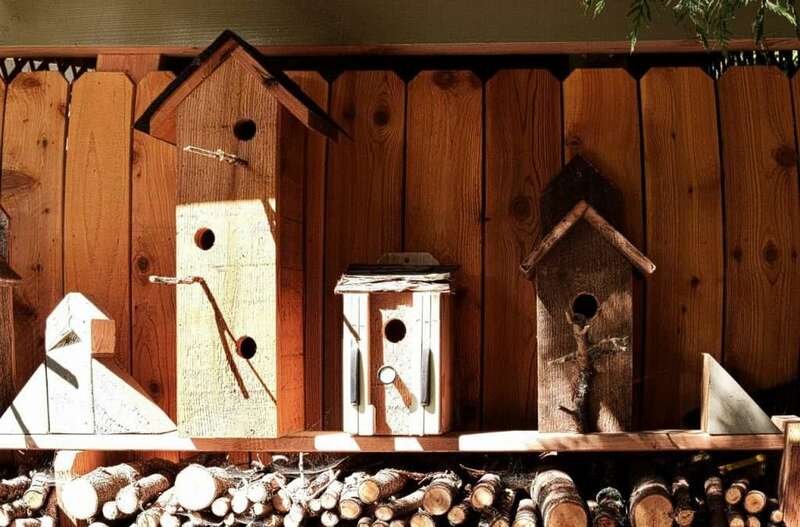 Schwegler has a long history of nesting box construction and is committed to bird and nature conservation. Their boxes are robust, rot-proof, easy to open, and simple to clean. These nesting aids are virtually unbreakable and come with solid hangers. Due to their concrete construction, the nesting boxes are also well protected against woodpeckers, jays, and other potential predators. After a couple of years, moss will settle on the round boxes, which will make them really beautiful. The boxes are hardly noticeable in the trees due to their naturally round shape. Birds accept them very well and return every year. There are, of course, many other manufacturers, and reasonable deals can be found on wooden boxes. You will find interesting information about the requirements of birds in North America on nestwatch.org. Do nesting boxes/shelter boxes need to be cleaned out? If so when? Can it be installed on a very tall wall? Or a tree where there is shade? Unfortunately cats are near the tree as its next to the roof of the garage where cats roam. You best clean the boxes in early spring. Don’t hang them too far from the ground. Shade is okay – but cats are not. Sorry to repeat, in case you rec’d my earlier note from the pop up feedback for your site. I am interested in knowing if you are in N. America? And if you give lectures or speak to garden groups as part of your work? I’m in SE Michigan and I think your information would be invaluable to people here in the midwest. I just designed a tiny garden with plants that are slug resistant, planted it for my client and then found your charming, richly informative web-site (which I immediately forwarded to that client!). 313-575-9932 is my cell if you prefer text.Thanks in advance for your response and keep up the great, humane work. 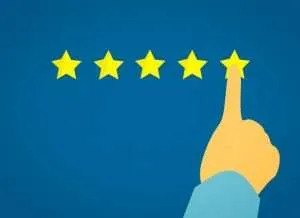 thank you very much for your message! It makes me happy to read that you like the information. Unfortunately, I live in Europe and until now it isn’t part of the project to give lectures to garden groups. Possibly I’ll do it in the future. Could you share with me a picture of the slug resistant garden you designed? This sounds very interesting! I thank you very much and wish you great success with your anti-slug projects!